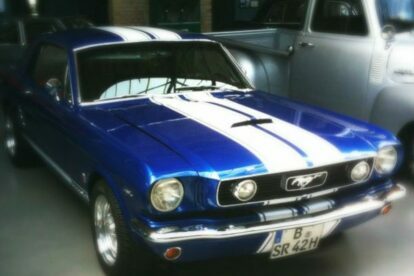 Honestly, even if you are not interested in cars too much, you’ve just got to love the looks and the elegance of an Oldtimer, like the Ford Mustang pictured here. The Classic Remise in Berlin is a spot where people park cars like that and let you have a look at them, completely for free. If you have ever dreamed of owning such a classic and classy vehicle, here is your chance to dream on. And if you are already the owner of such a baby, you can come here and find the proper spare parts – and let’s be honest, these babies need a lot of love usually. As I mentioned, you can have a look at them for free, but there are also around 200 events every year taking place in the CR. Hey, and you can even eat there while having a look at the 200 oldtimer cars, for there is a restaurant as well. If you like cars, you are gonna love the Classic Remise.